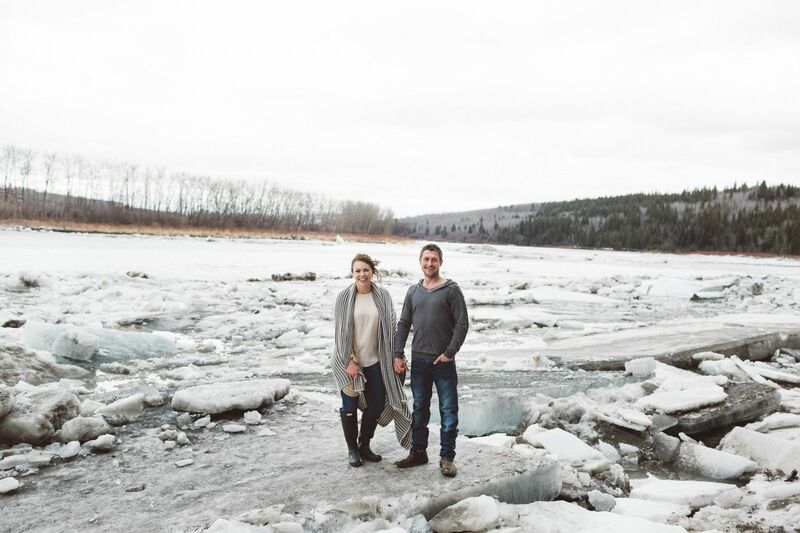 Today we're taking a glimpse at a beautiful love story through the lenses of Edmonton wedding photographer, Michelle Larmand Photography. 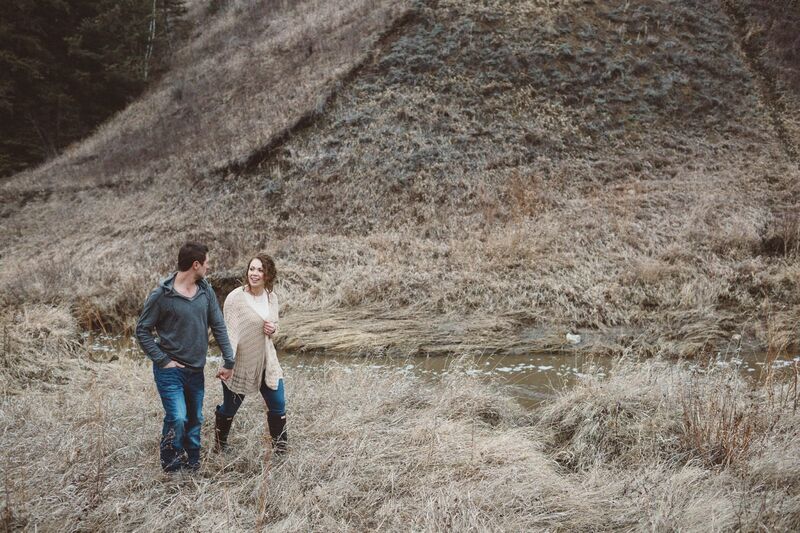 I fell in love with the simplicity and natural beauty of this engagement session right away. 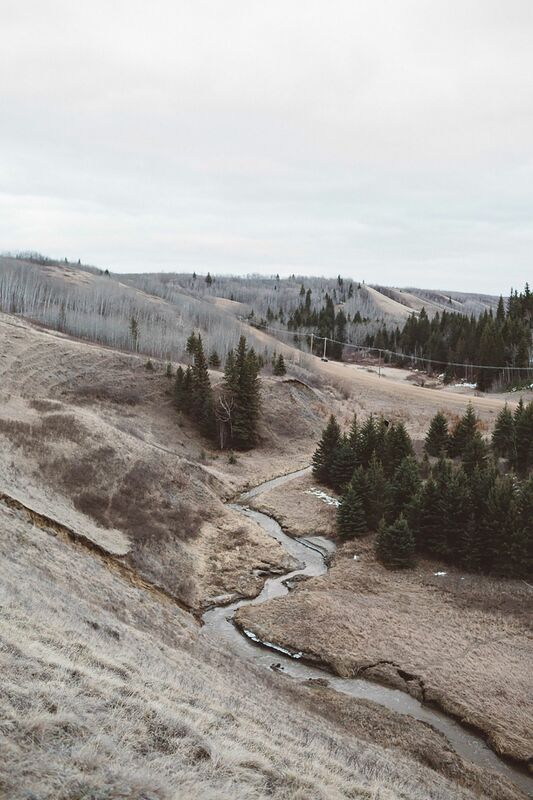 There is something peaceful about the grey skies and rugged beauty of the valley and the love between these two feels so comfortable and intimate. 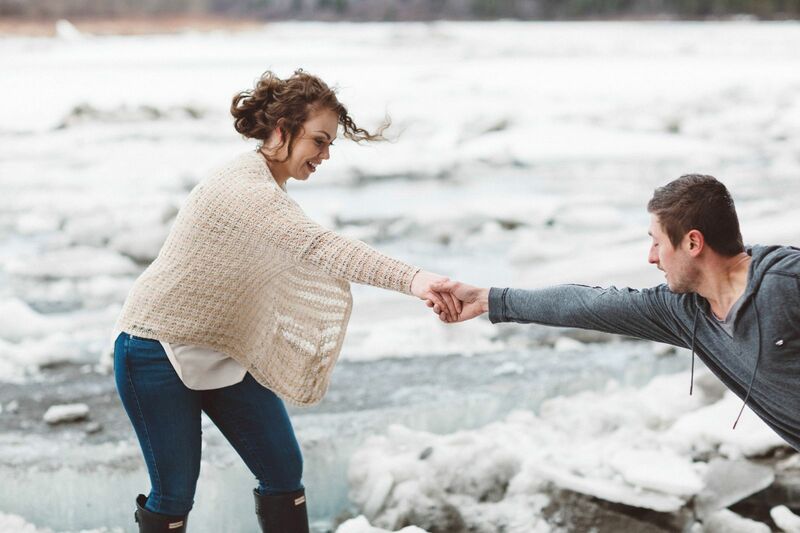 These gorgeous engagement photos remind me of a favourite quote from Vincent Van Gogh, "If you truly love nature, you will find beauty everywhere." 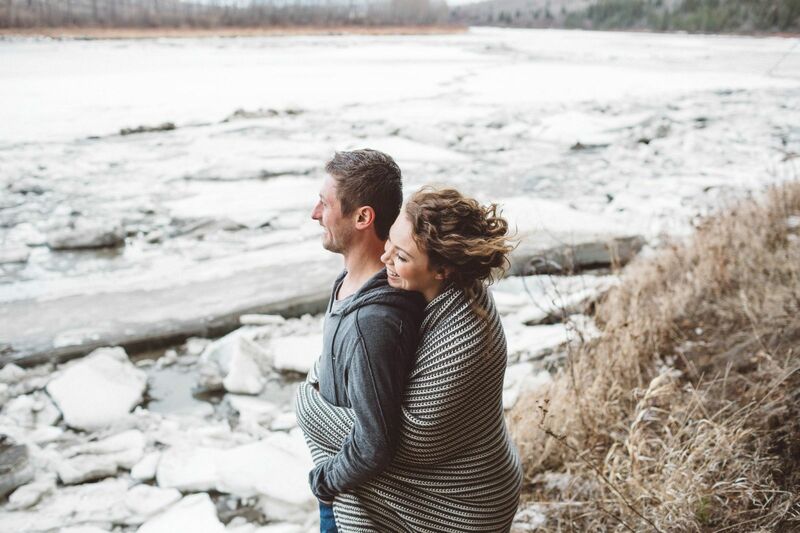 The sky wasn't perfectly blue, it's wasn't the middle of a beautiful summer day or even a snowy winter day; but it didn't matter because these two love each other deeply and their Edmonton wedding photographer (Michelle Larmand Photography) knew just how to look beyond the obvious and find the true beauty all around. 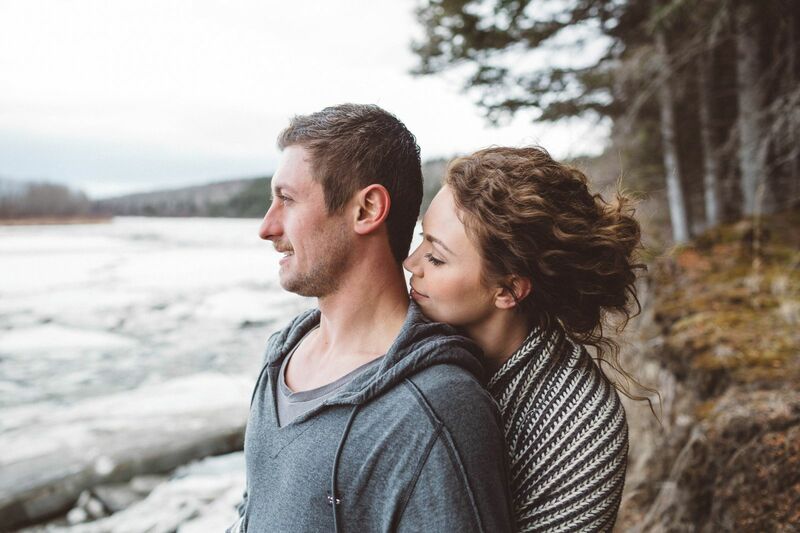 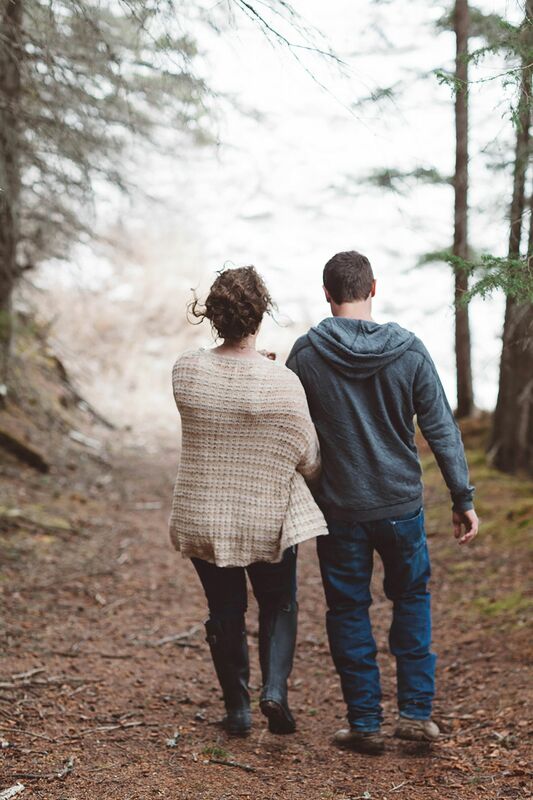 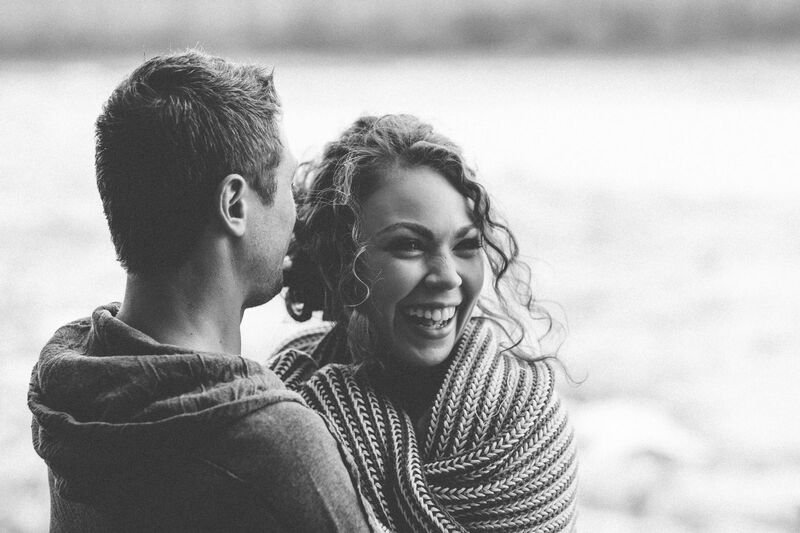 A huge thank you to Michelle Larmand Photography for sharing this beautiful engagement session with us. 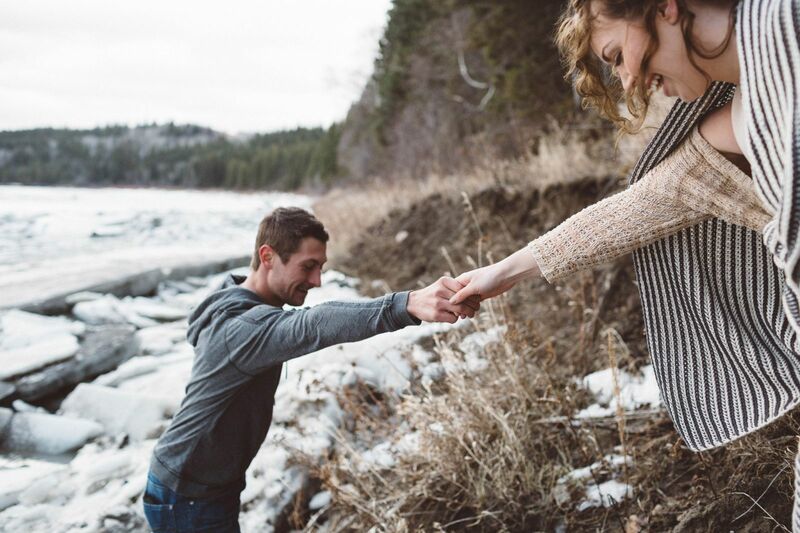 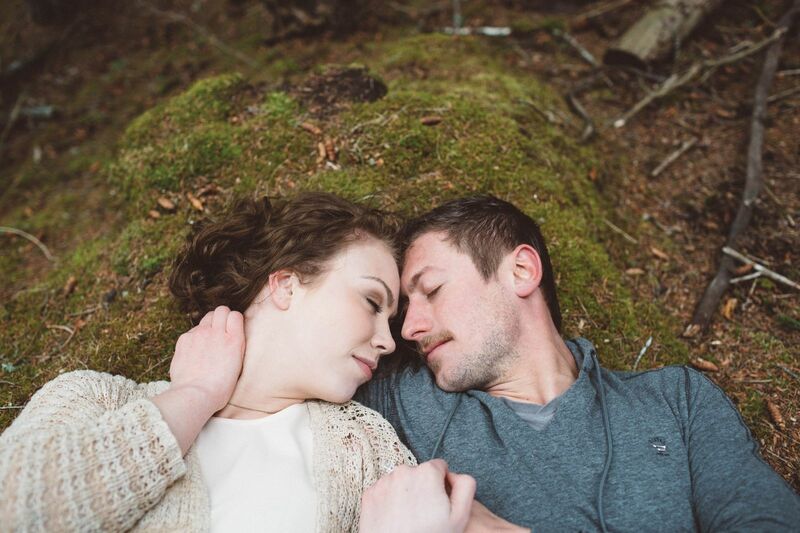 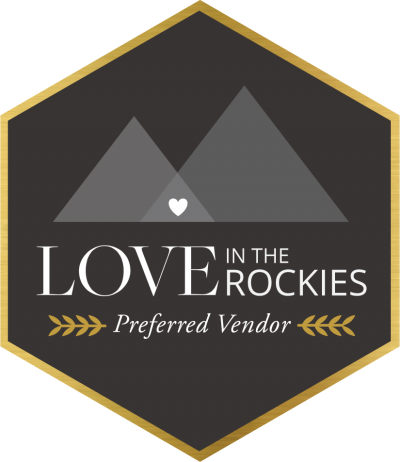 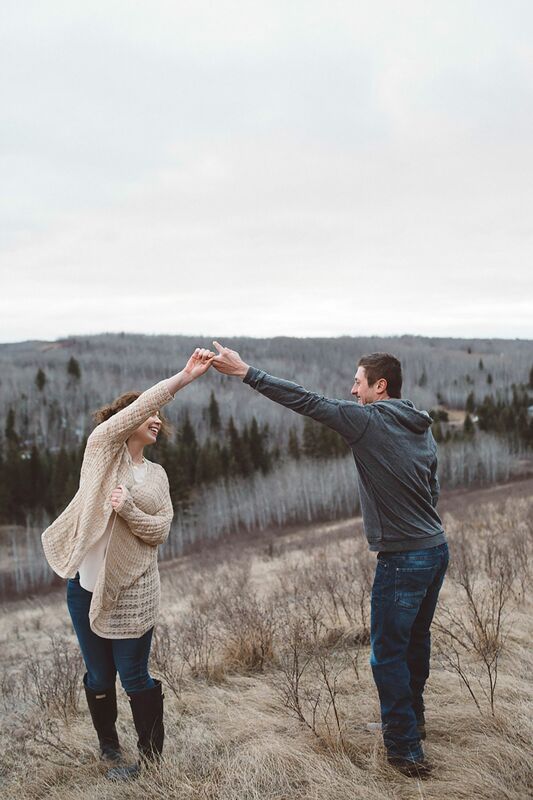 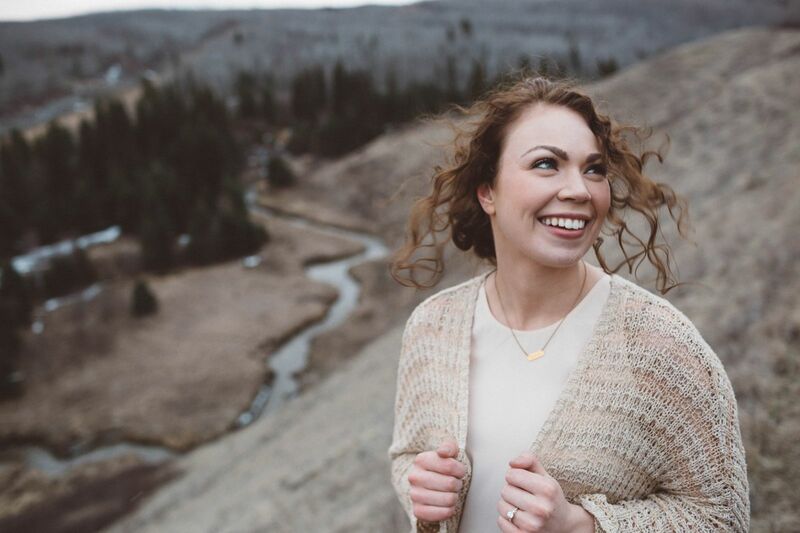 Michelle is an Edmonton wedding photographer who loves travelling to the mountains and other destinations and is a part of our recommended vendor diretory. 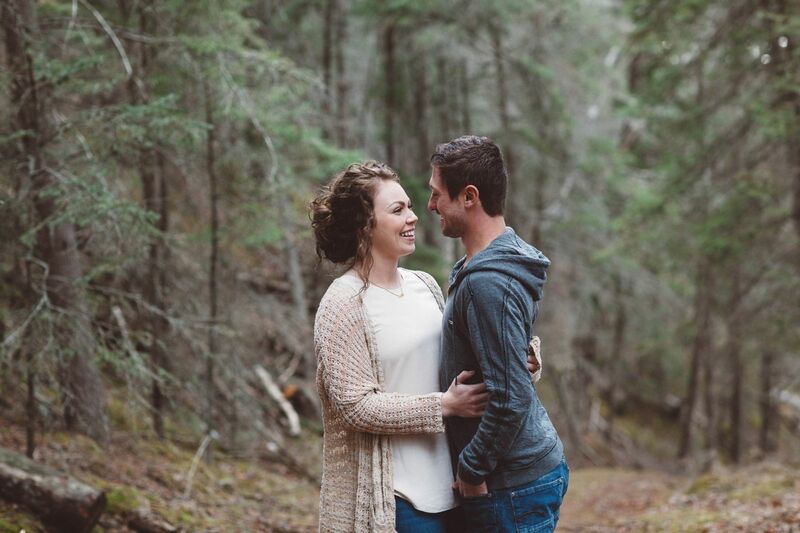 Her gorgeous wedding photos always put a smile on our face! 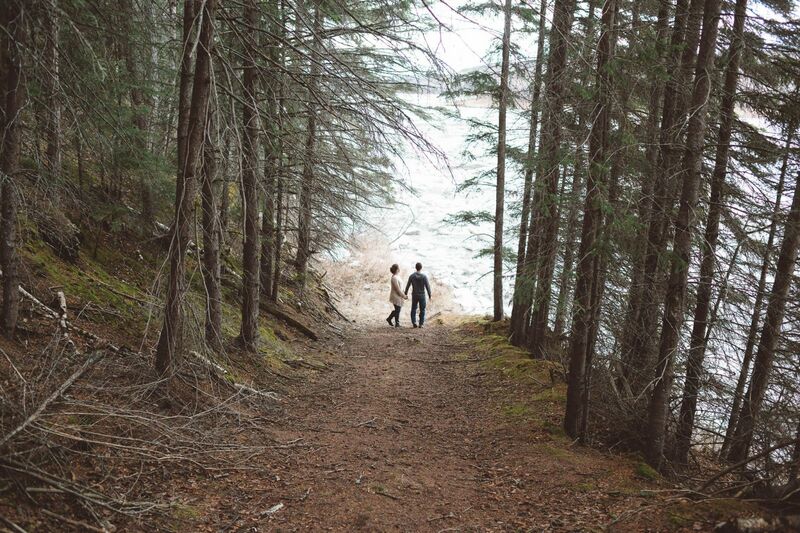 Check out more of Michelle's romantic photos here or take a peek at this incredible Jasper wedding she photographed.